Our company Tutoring Services, LLC offers 1 on 1 coaching/tutoring services to folks who are trying to dive into real estate market and learn how to analyze deals. Whether you are in the market for finding apartment building in CT New Haven, Hamden, Cheshire, Wallingford Wilton, Westport, Stamford, Greenwich, Darien, Norwalk area or any other area there are a lot of variables to consider. Why invest in the commercial real estate? Plus apartment buildings are easy to finance, banks like the security of real estate. Apartments building with multiple units spread out risk. Also one more, apartments give more control for the value of the house. The value of commercial real estate depends on the income of the property. If you make commercial property building produce more money, the more value you would raise. So in quick short, apartments generate passive income. Plus apartment building investment is easier to learn then let's say trying to open up your own software company! Many folks out there will tell you that you can't do it and it requires lots of skills, yet the reality of it all.. if you have passion you can do at least attempt to learn concepts of real estate to see how you can become wealthy within time and get out of rat's race within 3 to 5 years. You see the reality of it all it's hard to dive into something that you do not know about, especially if you are doing this by yourself. It's difficult to let's say buy a property and hope that it will bring you money without having 360 degrees view all around the key factors that you must consider before doing so. It can even feel complicated or almost impossible. Investing in commercial real estate is not a quick get rich scheme, but rather one of the best ways of getting out of rat's race and building long-term wealth. Which is precisely why Tutoring Services, LLC has decided to create coaching/tutoring service in commercial real estate, specifically to get folks out of their comfort zone into realization that investing into commercial real estate is the way to wealthy, providing that you dive into your first deal with the right mindset and reduce your risk. This is precisely why Tutoring Services, LLC has created matchmaking service, to help folks find their local/online real estate commercial investment property expert, someone who can sit down with you and teach you concepts for how to search and identify commercial real estate property that is profitable, the skill that would take you otherwise many years to learn on your own! Our company works with local experts and online national real estate gurus and pulls them together in our custom created a search engine, helping you find the right real estate commercial investment expert and get matched by our company Tutoring Services, LLC with such expert for the more affordable price than you would otherwise pay. Simply pick real estate commercial investment experts of your choice on our site (links provided further below) to see which one fits your budget. Or contact us from the bottom right corner chat icon to help you get matched by our matchmaking company either through chat or by phone (top right corner). How expensive is it to learn commercial real estate investment to help me minimize risk? Many experts out there charge an insane amount of money for such coaching, we wanted to take first look at such experts and see who are really good and passionate about commercial real estate business to see how they can help regular folks become a commercial real estate investment journey and begin their path towards financial freedom. 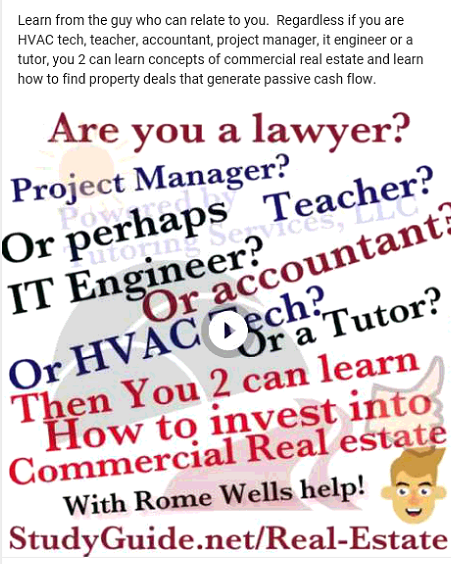 We pulled such coaches/tutors/teachers/experts together into a single platform along with the study materials and self-guided resources that can help you learn how to invest into commercial real estate properties, whether it's into apartment buildings or into single tenant buildings with NNN lease or into multiple multi-family building properties. Tutoring Services, LLC combines both local/online tutors and study guides together into a single platform allowing folks in Fairfield County CT to chose their local experts from a single site. Ever wanted to learn about something that can help you get out of rat's race in 3 to 5 years? 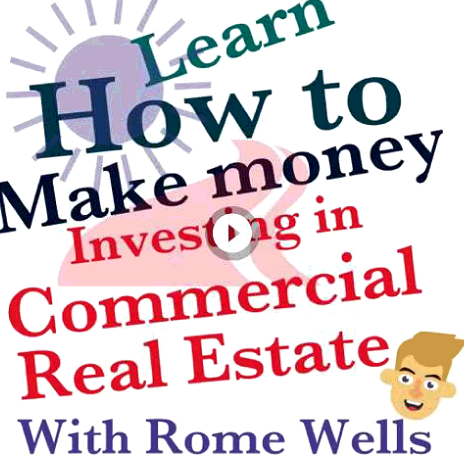 Ever wanted to learn how to make money from commercial real estate investment? Wondered how the math behind the numbers works when it comes to investing? 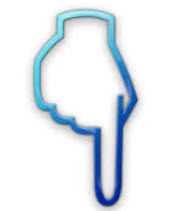 Consider hiring a tutor locally in Fairfield County CT, someone who can visit you directly at your own location and explain you secrets for how to find commercial real estate property deals and explain you the concepts of the math behind finding the right deals. Discover secrets of the commercial real estate here StudyGuide.net/Real-Estate on your own at your own pace or chose any of the tutors below. Or better what visit this link to view both study guides and local Fairfield County Tutors all in one page... and chose the coach/tutor commercial real estate investment coach who can help you analyze deals and jump into real estate investment world by tutoring you concepts that can save you tons of money.